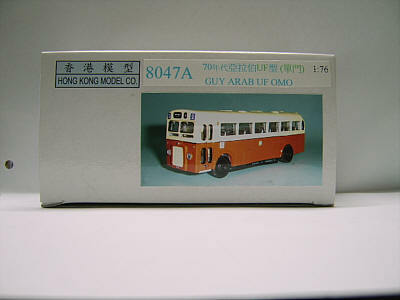 The model - the third Guy Arab UF announced in late November 2005 features a single door example. 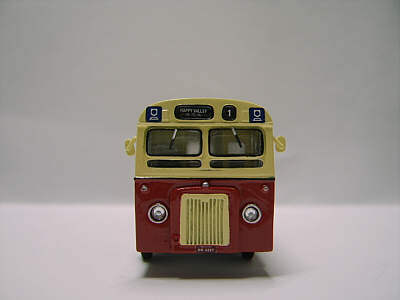 Two versions are known, the first featuring HK4227 on route 1 to Happy Valley and whilst the second, featuring 4113 on route 8 to Chai Wan, was reported in July 2009 by Tony Davis. 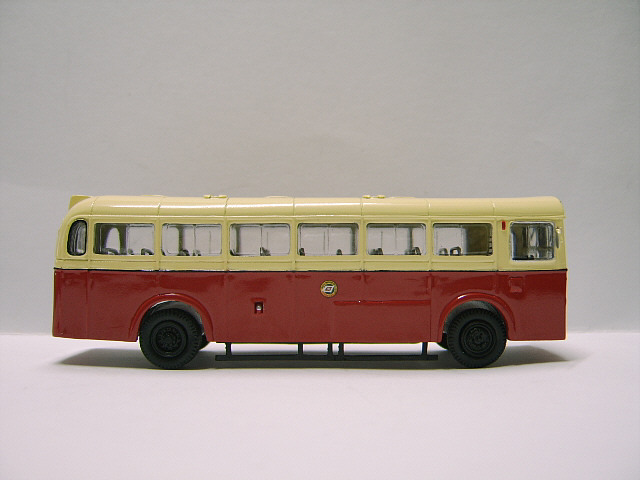 The bus - 100 Guy Arabs with underfloor engines were delivered to China Motor Bus between 1954 and 1961. They featured front and rear folding doors and could seat 43 passengers with 23 standees. Two conductors were employed to operate the manually operated doors and collect fares. 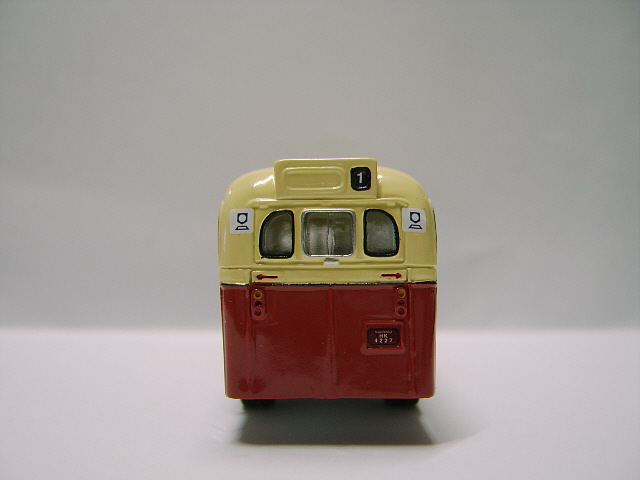 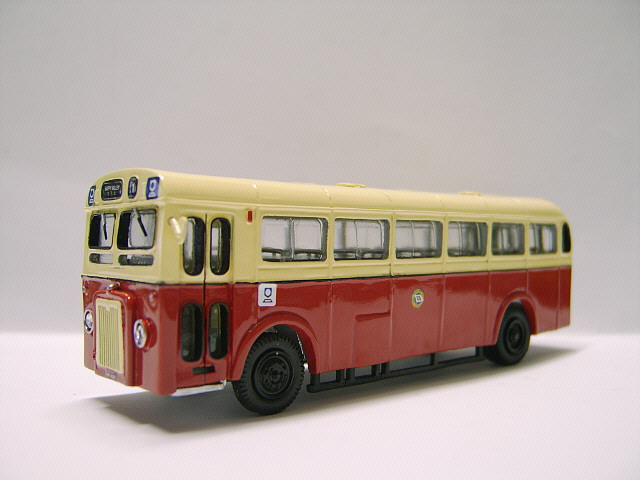 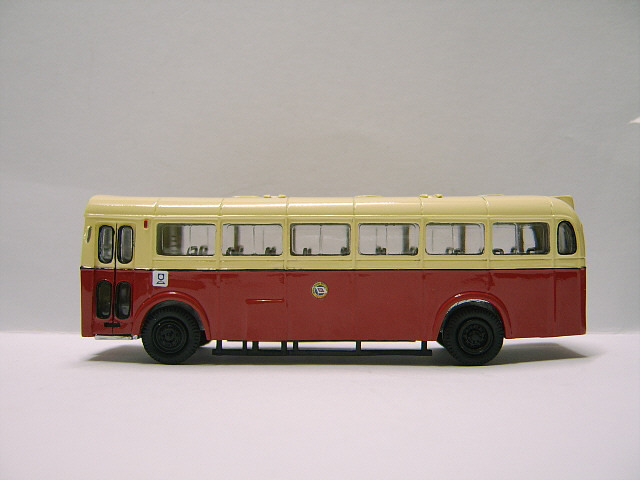 Additional radiators, as fitted to this model, from scrapped Tilling-Stevens buses were fitted to most of the UFs in the late 1960's. With the introduction of one-man-operation in the early 1970's, the buses were well suited with their forward entrance. At the same time, the rear doors were either locked or panelled over. Sixteen members of this class were refurbished between 1970 and 1973 and were renumbered 600-616. Hong Kong Buses Volume One - China Motor Bus.